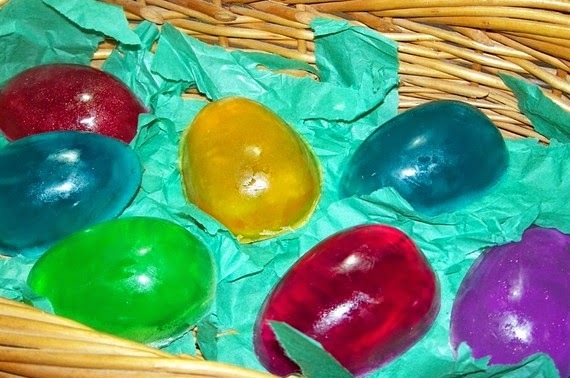 Here are some egg shaped items to fill an Easter basket, or add some spice to an Easter Egg Hunt. We've done dinosaur bone excavation kits before and they are great! I've been amazed to see my child who doesn't like to play alone for 5 minutes spend HOURS working to unearth a dinosaur bone from a kit similar to this one. I've seen the kit above in local stores (either HEB or Walmart...can't remember), and they were much cheaper than you can get them on Amazon. But if you're buying eggs for a bunch, these I found a 6 pack set of dinosaur eggs for under $10 which might be a better deal. Walmart has these locally, and though I can't remember the price, it's a lot cheaper than the ones on Amazon (pictured above) which were ridiculously expensive (they're under $5 at Walmart...maybe as low as $2, can't remember). The colorful soap eggs above is made by an Etsy crafter right here in Waco! (She doesn't allow pick-ups, but at least you know that it will ship quick since it doesn't have far to travel). I haven't seen egg shaped bath fizzies locally this year, but there are some cute ones on Etsy. My kids love watching them bubble and fizz. All of these are cute alternatives or add ins with the candy!